American VI: Ain't No Grave is an album by Johnny Cash released posthumously on February 23, 2010 on American Recordings and Lost Highway Records. Its release was three days prior to the 78th anniversary of Cash's birth. 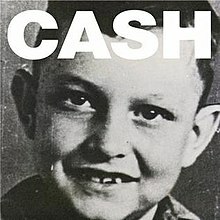 The album's music was recorded during the same sessions as American V: A Hundred Highways (2006) which took place during the final months of Cash's life. The album debuted at number three on the US Billboard 200 chart, selling 54,000 copies in its first week. Upon its release, American VI: Ain't No Grave received generally positive reviews from music critics. American VI received generally positive reviews from music critics. At Metacritic, which assigns a normalized rating out of 100 to reviews from mainstream critics, the album received an average score of 78, based on 19 reviews. The Times writer Pete Paphides wrote that Cash's "most soulful performances on American VI are invested in Nashville standards". Andy Gill of The Independent declared the album less strong than American V: A Hundred Highways, but maintains that this installment, "comes so close to those heights [that it] is cause for rejoicing." The Washington Post's Bill Friskics-Warren wrote that the album presents Cash as "an unwavering man of faith" and noted a "spiritual, even biblical quality to the record". Los Angeles Times writer Ann Powers called it "Cash's hospice record" and lauded his musicianship. MSN Music's Robert Christgau called the album "both the grimmest and the most hopeful" of "those nearness-of-death albums" that in his mind include Mississippi John Hurt's Last Sessions (1972), Bob Dylan's Time Out of Mind (1997), Warren Zevon's The Wind (2003), and Neil Young's Prairie Wind (2005). Greg Kot of the Chicago Tribune said that "death remains the big subject on VI, and Rubin magnifies the drama." The Daily Telegraph's Andrew Perry dubbed it "Cash’s final, life-affirming masterpiece". In a mixed review, Slant Magazine's Jesse Cataldo wrote that "the angle imposed here is a double-edged sword, granting a too-strict formula for these songs to occupy, but also granting a greater measure of artistic freedom". Pitchfork Media's Stephen M. Deusner criticized Rick Rubin's production, stating "Ain't No Grave isn't really Cash's farewell as much as it is Rubin's memorial mixtape". The album debuted at number three on the US Billboard 200 chart with first-week sales of 54,000 copies, becoming Cash's third posthumous top-ten album in the U.S. As of March 2014, the album has sold 250,000 copies in the US. In the United Kingdom, the album entered at number nine on the UK Albums Chart. It has sold 62,000 in the UK as of March 2014. American VI: Ain't No Grave also attained international chart success, charting within the top-ten of several other countries. Scott Avett – banjo on "Ain't No Grave"
Seth Avett – footsteps & chains on "Ain't No Grave"
The liner notes of Unearthed, a box set composed of outtakes from the first four entries in Cash's American series, claim "around 50" songs were recorded during the American V sessions before Cash's death on September 12, 2003. However, to date only two albums worth of material have been released from these sessions. In March 2014, Cash's son John Carter Cash, promoting the release of Out Among the Stars, a collection of recently unearthed recordings from the early 1980s, confirmed that "three or four albums" worth of unreleased material exist from the American sessions, with Rubin confirming that at least one additional album, a follow-up to Unearthed, is planned for future release. ^ Dean Goodman (January 14, 2010). "Johnny Cash Releasing Another Posthumous Album". Billboard. Archived from the original on 11 February 2010. Retrieved February 22, 2010. ^ "Last Johnny Cash American Recordings Album to Be Released in February". Archived from the original on July 21, 2011. Retrieved March 5, 2010. ^ a b American VI: Ain't No Grave (2010): Reviews. Metacritic. Retrieved on 2010-05-02. ^ Jurek, Thom. "American VI: Ain't No Grave — Johnny Cash". Retrieved March 5, 2010. ^ Phipps, Keith (February 23, 2010). "Johnny Cash: American VI: Ain't No Grave". The A.V. Club. Chicago. Retrieved March 24, 2013. ^ a b Andrew, Perry (February 18, 2010). "Johnny Cash: American VI: Ain't No Grave, CD review". The Daily Telegraph. London. Retrieved March 5, 2010. ^ a b Andy Gill (February 19, 2010). "Album: Johnny Cash, American VI: Ain't No Grave (American)". London: The Independent. Retrieved February 19, 2010. ^ a b Christgau, Robert (May 2010). "Consumer Guide". MSN Music. Retrieved February 27, 2019 – via robertchristgau.com. ^ McNamee, Paul (March 5, 2010). "Album Review: Johnny Cash - 'American VI: Ain't No Grave' (Lost Highway)". NME. London. Retrieved March 24, 2013. ^ a b Deusner, Stephen M. Review: American VI: Ain't No Grave. Pitchfork Media. Retrieved on 2010-05-02. ^ Rosen, Judy. "Johnny Cash — American VI: Ain't No Grave". Rolling Stone. Archived from the original on 26 February 2010. Retrieved March 5, 2010. ^ a b Cataldo, Jesse (February 22, 2010). "Johnny Cash — American VI: Ain't No Grave". Slant Magazine. Archived from the original on 28 March 2010. Retrieved March 5, 2010. ^ a b Paphides, Peter (February 19, 2010). "Johnny Cash: American VI: Ain't No Grave". The Times. London. Retrieved March 5, 2010. ^ Friskics-Warren, Bill. Review: American VI: Ain't No Grave. The Washington Post. Retrieved on 2010-05-02. ^ Powers, Ann. Johnny Cash: The Hospice Sessions. Los Angeles Times. Retrieved on 2010-05-02. ^ Kot, Greg (February 18, 2010). "Album review: Johnny Cash, 'American VI: Ain't No Grave'". Chicago Tribune. Archived from the original on 20 February 2010. Retrieved March 5, 2010. ^ "Johnny Cash: 'four or five more albums in the works', says his son". The Guardian. March 26, 2014. Retrieved March 15, 2015. ^ Thomson, G. (2011). The Resurrection of Johnny Cash: Hurt, Redemption, and American Recording Jawbone Press, p. 235-237. ^ Caulfield, Keith. Sade Clocks Third Week At No. 1 On Billboard 200. Billboard. Retrieved on 2010-05-02. ^ Grein, Paul. Week Ending Feb. 28, 2010: Beyond The "Grave". Yahoo! Music. Retrieved on 2010-05-02. ^ a b Phil Hebblethwaite (March 28, 2014). "How Johnny Cash became an even bigger star after his death". The Guardian. ^ Sexton, Paul. Jason Derulo Scores First U.K. No. 1. Billboard. Retrieved on 2010-05-02. ^ Album Performance: American VI: Ain't No Grave. acharts. Retrieved on 2010-05-02. ^ "Australiancharts.com – Johnny Cash – American VI: Ain't No Grave". Hung Medien. ^ "Austriancharts.at – Johnny Cash – American VI: Ain't No Grave" (in German). Hung Medien. ^ "Ultratop.be – Johnny Cash – American VI: Ain't No Grave" (in Dutch). Hung Medien. ^ "Ultratop.be – Johnny Cash – American VI: Ain't No Grave" (in French). Hung Medien. ^ "Johnny Cash Chart History (Canadian Albums)". Billboard. ^ "Top Kombiniranih [Top Combined]" (in Croatian). Top Combined Albums. Hrvatska diskografska udruga. ^ "Danishcharts.dk – Johnny Cash – American VI: Ain't No Grave". Hung Medien. ^ "Dutchcharts.nl – Johnny Cash – American VI: Ain't No Grave" (in Dutch). Hung Medien. ^ "Johnny Cash: American VI: Ain't No Grave" (in Finnish). Musiikkituottajat – IFPI Finland. ^ "Lescharts.com – Johnny Cash – American VI: Ain't No Grave". Hung Medien. ^ "Greekcharts.com – Johnny Cash – American VI: Ain't No Grave". Hung Medien. ^ "Italiancharts.com – Johnny Cash – American VI: Ain't No Grave". Hung Medien. ^ "Charts.org.nz – Johnny Cash – American VI: Ain't No Grave". Hung Medien. ^ "Norwegiancharts.com – Johnny Cash – American VI: Ain't No Grave". Hung Medien. ^ "Spanishcharts.com – Johnny Cash – American VI: Ain't No Grave". Hung Medien. ^ "Swedishcharts.com – Johnny Cash – American VI: Ain't No Grave". Hung Medien. ^ "Swisscharts.com – Johnny Cash – American VI: Ain't No Grave". Hung Medien. ^ "Johnny Cash | Artist | Official Charts". UK Albums Chart. ^ "Johnny Cash Chart History (Billboard 200)". Billboard. ^ "Best of 2010 - Top Country Albums". Billboard. Nielsen Business Media, Inc. Archived from the original on 30 December 2010. Retrieved 2010-12-31. ^ "British album certifications – Johnny Cash – Aint no grave". British Phonographic Industry. Select albums in the Format field. Select Silver in the Certification field. Type Aint no grave in the "Search BPI Awards" field and then press Enter.